"Carob pods and carob chips for a taste (and smell and sound and sight and touch) of Tu B’Shevat. 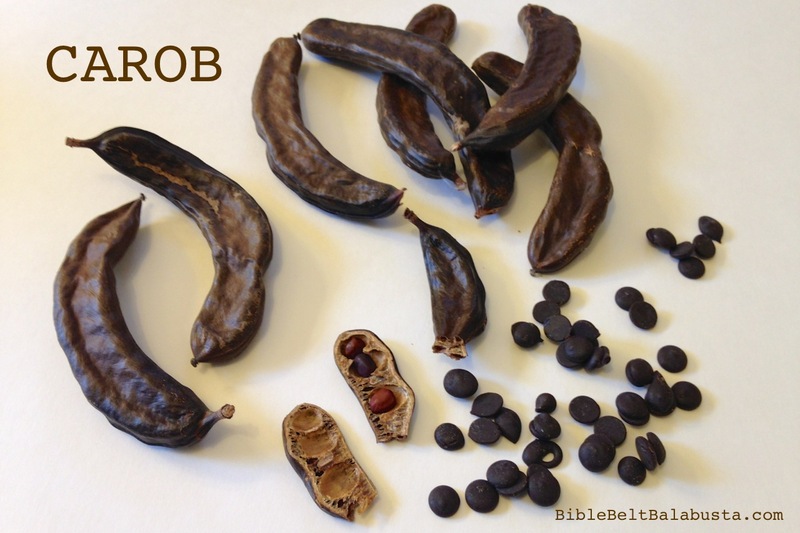 Carob is a biggie for Tu B’Shevat. It’s a tree fruit native to the Land of Israel, it’s de rigeur at a Tu B’Shevat seder, and it’s part of the story about Honi the circle-maker lots of us read aloud on Tu B’Shevat. Remember that story? Where mystical wise man Honi thinks it’s dopey to plant a carob seed because by the time it bears fruit—70 years, according to the Talmud—the person who planted it will be dead? A 70-year nap teaches this Jewish Rip van Winkle that we plant trees for our children’s children, just as our ancestors planted trees for us. Kids think carob pods are weird and stinky, but weird and stinky is at least memorable. All parts are edible, which is why they belong to the Briyah category—fruits that may be consumed in their entirety—in a full-on Safed-flavored Tu B’Shevat seder. Usually, kids think that processed carob chips smell and taste better than the pods/seeds, but it’s still important to show where the chips come from, and what actually hangs from the tree. "